But the couple knew that friends and family would want to celebrate their nuptials with presents. 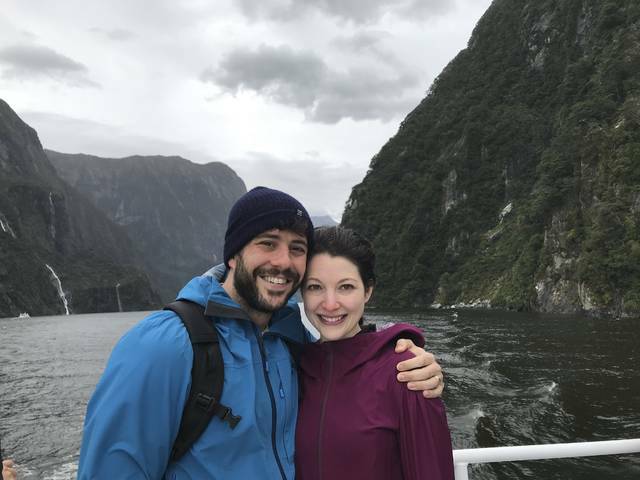 They found a registry that included traditional gift options but also things other than stuff — donations to charity and to their honeymoon adventures in Fiji and New Zealand. As couples strive to infuse their weddings with personal touches, changing up the registry is a natural, said Ashlie Lynch, communications chair for the American Association of Certified Wedding Planners. Many brides and grooms are forgoing formal dinnerware and household goods and replacing them with asks for money to fund experiences or significant purchases. Couples are becoming increasingly comfortable asking guests for money, added Lauren Kay, deputy editor at TheKnot.com, a wedding planning website. It also suits the lifestyle of millennials — those born between 1981 and 1997. Three out of four millennials said they prefer spending money on experiences over things, according to a 2017 Eventbrite survey. Some resorts that cater to honeymooners offer registries. At the Fairmont Orchid in Hawaii, couples can request that friends and relatives chip in toward spa treatments, romantic dinners and sunrise canoe outings. “We’ve seen many couples who’ve exercised this option with success and have enjoyed their once-in-a-lifetime dream honeymoons as a result,” said resort spokeswoman Catherine Cambra. Kayleigh and Daniel Caskey, who were married in 2017, had no problem asking guests to contribute to their honeymoon. Most of their friends and relatives understood, she said, but a few still bought traditional gifts that the couple isn’t sure they will ever use. Charity wedding registries more than tripled in popularity last year, Kay said, from 3 percent of couples in 2016 to 10 percent in 2017. 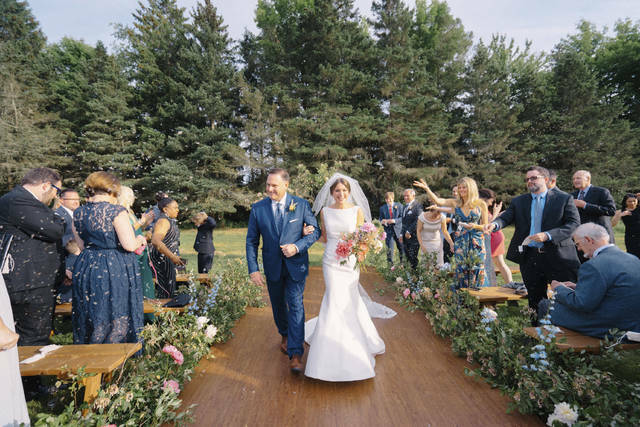 Initially, Sarah Mulvaney and Matthew Schimenti intended to tell wedding guests they did not wish to receive any gifts for their June 2018 event, but relatives persuaded them to provide an option. The couple from Rowayton, Connecticut, decided to use their happy occasion to help a favorite charity. Using The Good Beginning, a registry for couples seeking charitable donations in lieu of gifts, the Schimentis solicited donations for The Carver Foundation, which provides youth programming in Morris, Connecticut. It makes sense that millennials would redefine traditional wedding registries, said Karen McGrath, co-author of “The Millennial Mindset: Unraveling Fact from Fiction” and a professor at the College of Saint Rose in Albany, New York. Millennials tend to prioritize giving back, taking care of the environment, and doing things rather than owning them, she said. Everything about fancy china and crystal — from storing it to the packaging it comes in — would be a turn-off for many young couples, she said. Many millennials also choose to live in smaller or shared spaces, and move often, she said, which makes it difficult to have a lot of stuff. And even newlyweds who want fine things for their homes may already have them, added Beth Helmstetter, a wedding planner who in 2016 founded The Good Beginning. With couples marrying later in life and often sharing a home before exchanging vows, they often have all they need, she said.